Weekend at the Quilt Guild – What's So Funny? 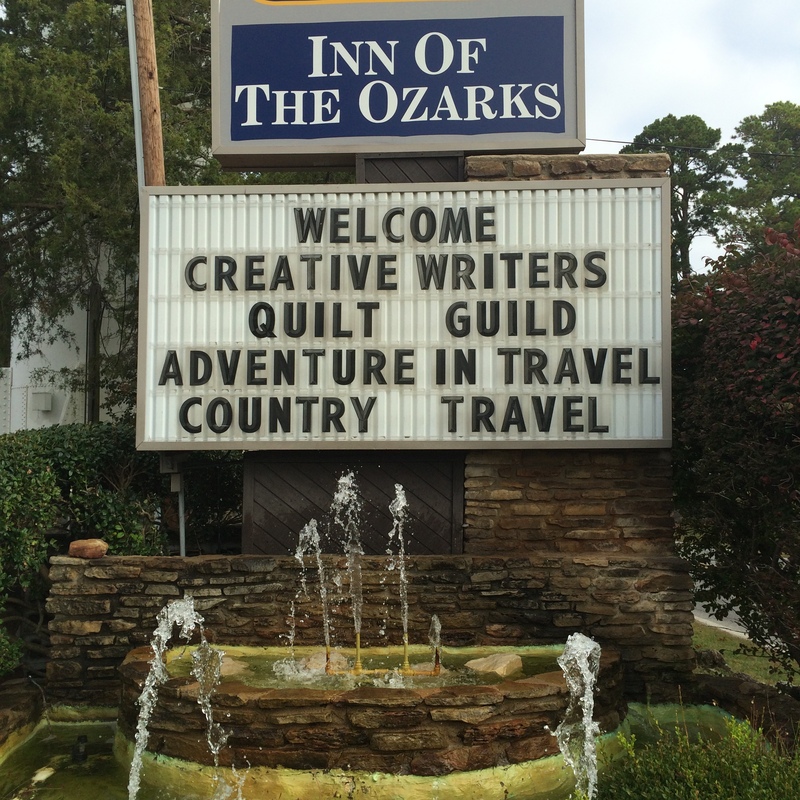 Last Friday morning, I arrived at the Inn of the Ozarks in Eureka Springs only to be greeted by this lovely sign on the marquee. and what to my wandering eyes should appear . .
Evidently, we were in for quite an adventure in travel as they had repeated the word twice. I imagined a band of Writing Quilters, or Quilting Writers, traversing the country in a Gypsy wagon peddling hand-bound stories in extra-softcover editions. Actually, the correlation between writers and quilters is not so farfetched. Quilters stitch together blocks of fabric to form a beautiful piece of art that often carries a theme or serves as a reflective memoir of a special occasion. Writers piece together scenes to construct a story to entertain or enlighten the reader. To get in the mood for this piece, I tried typing with thimbles on all eight fingers with my thumbs securely tucked inside the holes of a pair of scissors. I found this to be rather cumbersome, but clicking noise did remind me of an Irish Stepdance. So far, it’s done nothing to enhance the content. I will not be posting a Friday Flash Fiction this week as I am bound for four days of outdoor recreational activities (yes, that means drinking beer) and will not have access to a computer or the web. Perhaps I’ll have a good story (that’s not too embarrassing) to tell upon my return. What rain? It’s been dry as a popcorn fart here. After reading your comment, I went over to Ms. Addicted to Purple’s site and saw the photo prompt, so it makes sense now. I guess I would have written about a flasher getting a cold shower based on this picture. 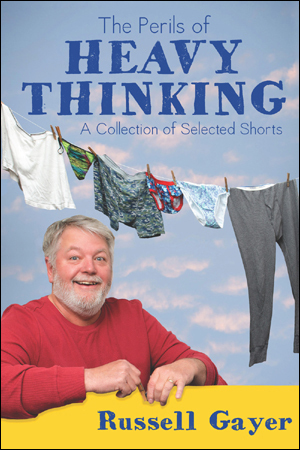 I’m sure the you could write creatively about what it’s like to quaff while quilting, Russell. Oh, yes, interesting weekend. Hard to type but the threads held us all together. Ah yes, the tie that binds. I seem to have inadvertently, and quite uninvited, wandered into a non-FF space. My first thought is that the obvious link between ‘quilt’ and ‘guild’ is guilt. Are you a sufferer, Russ? Or do you leave the suffering to your readers, I wonder. So I wonder as I wander. I think that is the end of this comment. Oh, cheers, santé, slàinte, bottoms up, old bean! Yes, I try to leave the suffering to my readers. Guilty as charged. Le rendu lumineux est correct.